So far this blog has been silent on the murder and attempted murder which occurred outside the Ottobar two weeks ago. There’s not much that we can say that isn’t very plain: the attack was shocking and horrifying, the guy who did it was a complete scumbag with a long criminal record, and while we’re glad he was apprehended by police very quickly that’s very little comfort to anyone associated with the bar, or with the scene in general. We didn’t know Tom personally, but part of what’s so unsettling about his death is the knowledge that it could have been any of the several friends we do have working at the bar. It could have been anyone at the bar as a patron, too. That’s the thing about this sort of senseless violence: it’s completely unpredictable and can happen to anyone at any time. You do the right thing and tell a jerk to stop acting like a jerk and another jerk runs up and murders you for it. 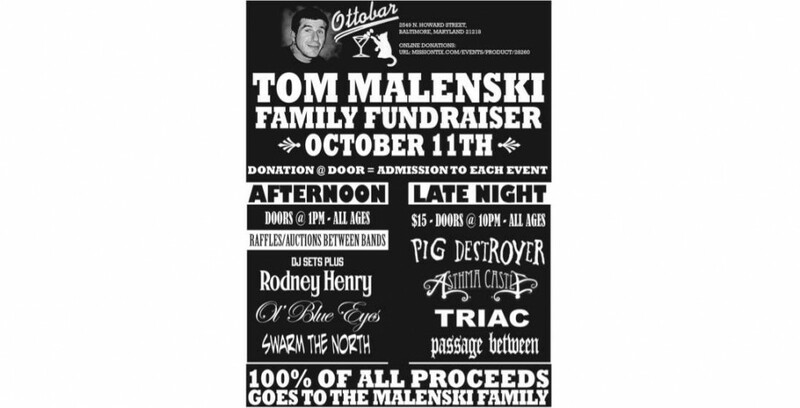 Tomorrow the bar will be hosting a day and night of fundraisers and tributes to benefit the Malenski family. We encourage everyone who’s a part of Baltimore’s music scene in any capacity to pay a visit at some point tomorrow, even if you didn’t know Tom personally or very well. Even if you can’t stay long, stop by, put a few dollars in the hat and have a drink. 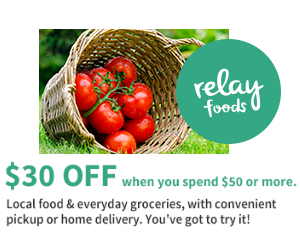 Be there and help the friends you do know. It’s important. We also want to mention something else here that’s important. After thinking a lot about this and also about Travis Jackson’s sudden death in January we’ve decided to be proactive and buy a life insurance policy. While benefit shows and crowd-funding websites are an amazing way to give support and make difficult times a little easier for families, they’re not a dependable or sustainable way to deal with the expenses and challenges associated with a sudden death. Life insurance isn’t very punk. But at the end of the day punk rock is kid stuff and we’re a grownup whether we like it or not. We’re happy and proud that the bar is able to step up and do things like tomorrow’s event, and we’re encouraged by the generous financial outpouring from the scene as a whole. But for us the most important thing we’re taking away from this tragedy is that when we go, we want to be sure our family can settle our affairs easily and independently. This entry was posted in shows, SLIDER and tagged Baltimore, Benefit, Fundraiser, Biaxin 500 mg, Murder, Ottobar, passage between, pig destroyer, Punk Rock, Remington, tom malenski, Triac. Bookmark the permalink.